Hyatt Regency John Wayne Airport Newport Beach, formerly Carlton Hotel Newport Beach, opened on April 1, 2018 after completing a multi-million-dollar interior and exterior renovation. The reimagined contemporary guestrooms integrate the latest technology including 65-inch Smart TV’s, premium bandwidth, upgraded marble and quartz guestroom baths, triple-pane windows and step-out balconies. The new fitness center features PreCor fitness equipment, the industry leader in fitness equipment, along with an adjacent stretching and yoga room. 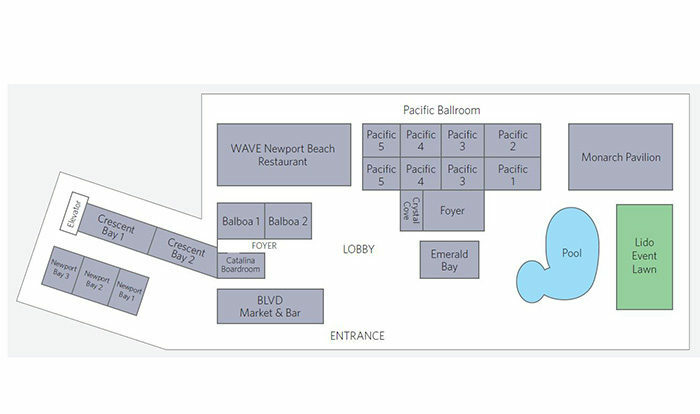 The hotels new restaurant, WAVE Newport Beach, offers local flavors and specializes in sustainable fare. Indulge in a signature crafted cocktail at BLVD Bar or grab a bite to go at the BLVD Market. With 343 guestrooms and suites and the addition of 8,000 square feet of indoor/outdoor meeting space (for a total 28,000 square feet), updated wireless technology, state-of-the-art lighting and sound capabilities and multiple built-in 100-inch Smart TVs. At Hyatt Regency John Wayne Airport Newport Beach, it’s good not to be at home. Enjoy the perfect location and amenities for your next meeting or event and earn extra World of Hyatt Planner Rewards! For information, please contact the sales office at +1 (949) 608 1083. Those seeking a cost-effective meeting destination in world-famous Newport Beach need look no further than Hyatt Regency John Wayne Airport Newport Beach. 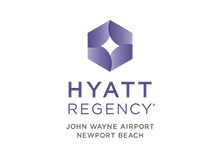 Delivering an affordable, appealing, all-inclusive environment, Hyatt Regency John Wayne Airport Newport Beach provides close proximity to all that luxurious Newport Beach has to offer. In addition to more than 28,000 feet of flexible and inviting meeting space to suit all groups, guests will especially appreciate the hotel’s immediate access to Orange County/John Wayne Airport and complimentary airport shuttle service. In addition to spacious and welcoming guest rooms, they will also enjoy a host of complimentary amenities, including parking, fitness center, and Internet access.